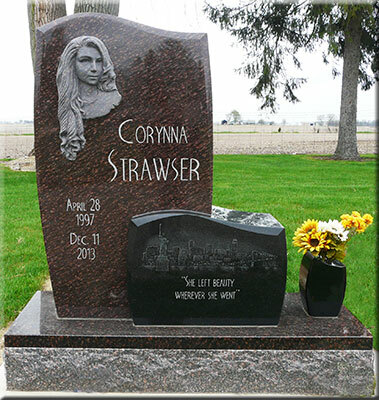 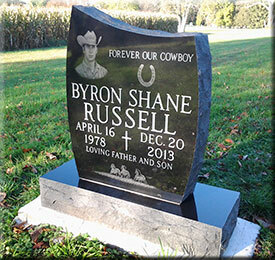 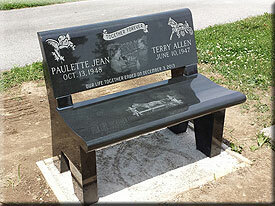 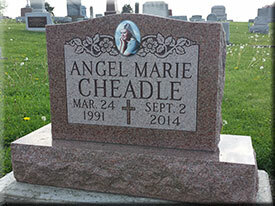 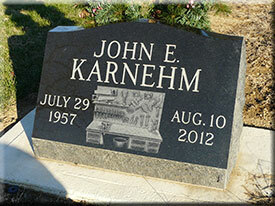 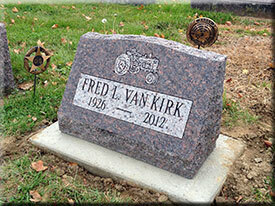 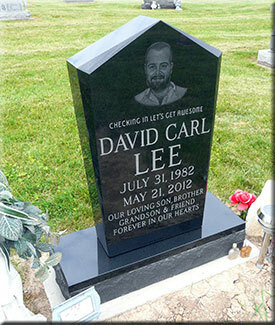 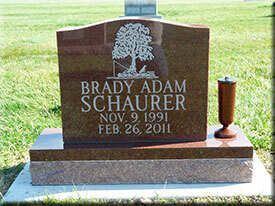 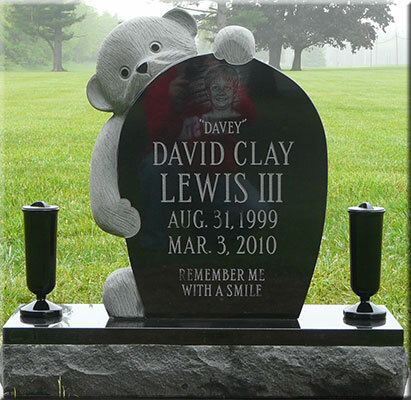 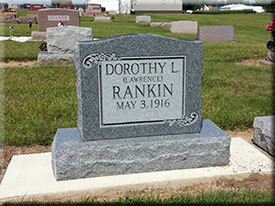 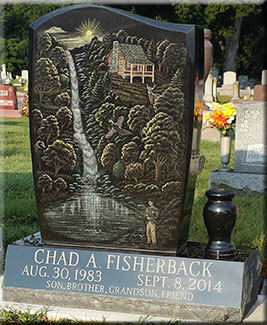 Slant markers are one of the least expensive memorials available. 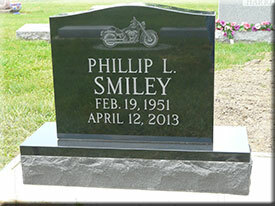 They have two major advantages over flat (flush) markers - the letters don't fill up with dirt and you can see the name from the driveway. 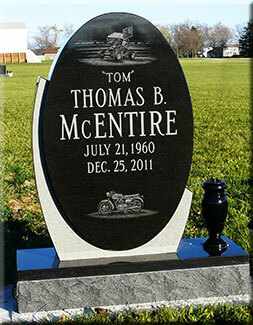 In-stock shapes are monuments that are not a traditional upright but not completely custom either. 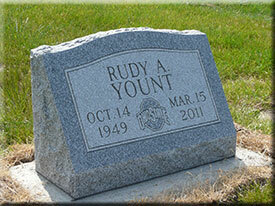 This means we have the stone or can get it in a week or so vs. a custom order which takes 3 to 4 months. 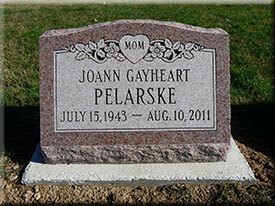 In-stock shapes are more expensive than a serpentine top but not as expensive as a custom stone.